In March of 1920 a right wing group, led by Wolfgang Kapp rose in Berlin. This group consisted of members of the paramilitary Freikorps. The Kapp Putsch gained support from leading members of the military such as General Ludendorff. It was particularly challenging for the Ebert Government to deal with as they could not be certain of the support of the armed forces. Kapp was a right wing journalist who opposed the government on the grounds that he held it responsible for the humiliating Treaty of Versailles. 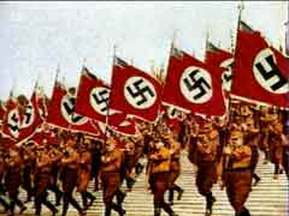 Many believed that it was left wing politicians who were responsible for the collapse of the Second Reich. 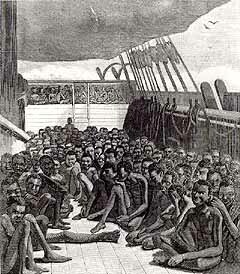 This view was shared by many leading officers of the German Army, who Kapp turned to for support. Two significant officers chose to support Kapp, General Luddwitz and General Ludendorff. On 13th March, Luddwitz and Kapp orchestrated an uprising in Berlin. 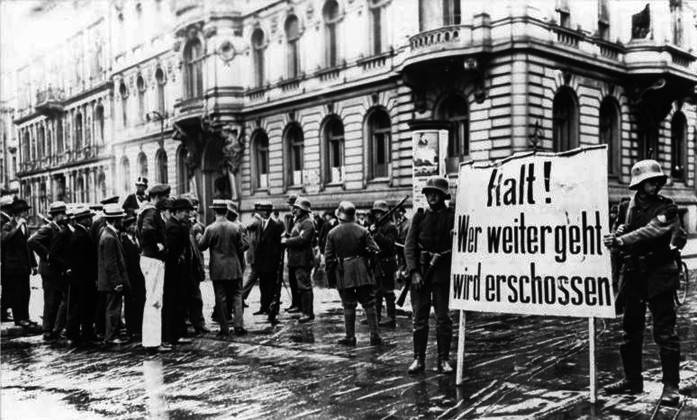 The Kapp Putsch was initially succesful in it’s aims. Troops sympathetic to the uprising took control of Berlin and a Right Wing Government was proclaimed by Luddwitz. Ebert, the president, was forced to leave Berlin. 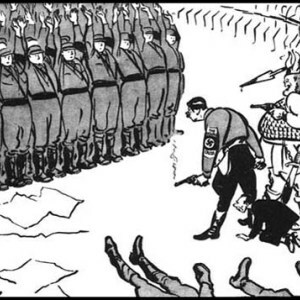 The government could not be sure of support from the army, though much of the officer corps had not joined the uprising, nor could he utilise the Freikorps as had been done with success against the Spartacist’s. On this occasion Ebert turned to the ordinary people and called for a General Strike. This, if successful, would make it impossible for the uprising to succeed as they would not have the means to manage the people. Analysis of several factors is possible here. The army didn’t openly support Kapp, nor did it rush to the aid of Ebert and the government. What does this mean? How could the Government ensure its survival? Why did the people of Berlin support the Government and go on Strike? How does this compare to the Spartacist Uprising? Kapp’s political history: indicators for the future? Kapp was born in the united states in 1858. His family returned to Prussia when he was 12. Kapp was a capable student who performed well at school and University. He gained experience managing agicultural estates where his agricultural credit union helped both the landowners and the labourers. During the First World War Kapp became disillusioned. In 1917 he, with Alfred von Tirpitz, set up the German Fatherland Party. By the time of the first Reichstag elections the party had over a million members and Kapp was elected. The party and Kapp owed it’s popularity to it’s staunchly conservative and nationalistic views. Prior to the Putsch, Kapp campaigned for the restoration of Kaiser Wilhelm II. Teaching resources on the Kapp Putsch. Series of recommendations to free teaching resources.